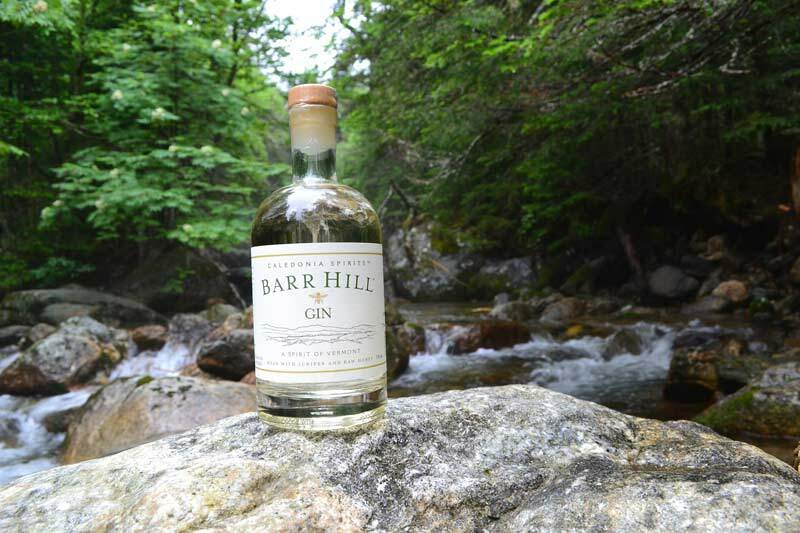 My local community grocery, Bow Street Market, occasionally hosts wine tastings, and last week its sommelier, Paula Truman urged me to come down for a tasting of Barr Hill gin being presented by the proprietor of Caledonia Spirits, Todd Hardie. Intrigued by the gin’s taste and its soft spoken yet deliberate creator, I reached out to him yesterday to learn more about the origins of Caledonia Spirits. At the time of my call, Hardie was coming in from tending to the Mangalista pigs on his farm in Greensboro, Vermont, just a couple of miles from the Caledonia Spirits distillery in neighboring Hardwick. In addition to the pigs, the family farm has honey bees, and a vegetable garden. They used to milk cows for fluid milk, but Hardie explains that it’s hard for small farms to make a living selling fluid milk in the age of industrial dairy operations. The farmland is now used by neighboring Jasper Hill Farm. Perhaps ironically, Hardie’s newer business is a centuries old family tradition; John and William Hardie formed J & W Hardie Ltd. in Edinburgh in 1857, where they first blended ‘The Antiquary’ scotch whiskey in 1888. Named after a novel by Scottish author Sir Walter Scott, ‘The Antiquary’ is blended to this day. But for Todd Hardie, distilling always has been about the agricultural processes behind his team's award winning spirits. 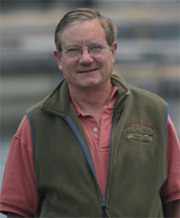 Hardie grew up on a farm and started keeping bees in honey houses 50 years ago, with a focus on keeping the honey raw. His operation peaked at 1,900 hives when he divested his bees to others in the St. Lawrence and Champlain River Valleys of New York and Vermont during the transition to distilling. Hardie explains that the excellent taste of Caledonia Spirits’ flagship Barr Hill gin comes from the raw honey added to the gin after distillation, which is still sourced from one of the beekeepers who took over Hardie’s hives and with whom Hardie has been working for 30 years. The distillery’s vodka is made from scratch from raw organic honey. All of Caledonia Spirits’ ingredients are sourced as locally as possible, some of which - including elderberries for their elderberry cordial - will be grown right on a farm Hardie became the steward of a month ago. The new property consists of about 30 acres of productive farmland and 135 acres of forestland, which can be selectively harvested under Vermont’s current use plan. There, Hardie plans to plant rye this fall to be harvested next summer for rye whiskey, elderberries for Caledonia’s elderberry cordial, and bring along bees and the Mangalista pigs that will eat spent grain from the distillery, and in the actions of their lives – rooting around and defecating – improve the soil. The forestland will be very selectively harvested, mostly taking out dead trees for firewood. If allowed under the current use plan, Hardie also hopes to harvest enough trees to build a hand-hewn log cabin, but conservation was the main motivation for buying this piece of land.